A Fairfax County Urban Search and Rescue dog is the subject of a search that has been ongoing since Thursday, when he disappeared during a training exercise in Bowie, Prince George's County. 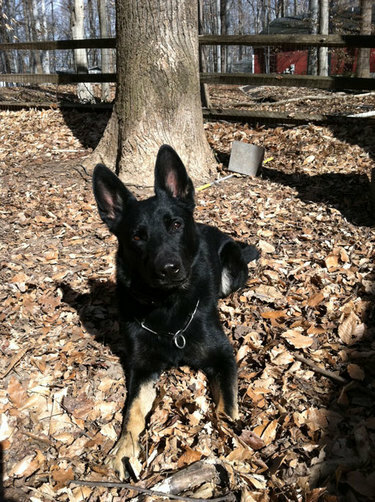 Vito, a three-year-old German Shepherd, was being trained to replace his father, Czaro, who had been deployed all over the world as part of Fairfax County's Urban Search and Rescue team. According to Sonja Heritage, Vito's FEMA trainer, the dog was very close to certification when he disappeared. Vito is described as a large and friendly black German Shepherd who was last seen on Thursday near the intersection of Routes 301 and 450 in Bowie, close to the Shell gas station. 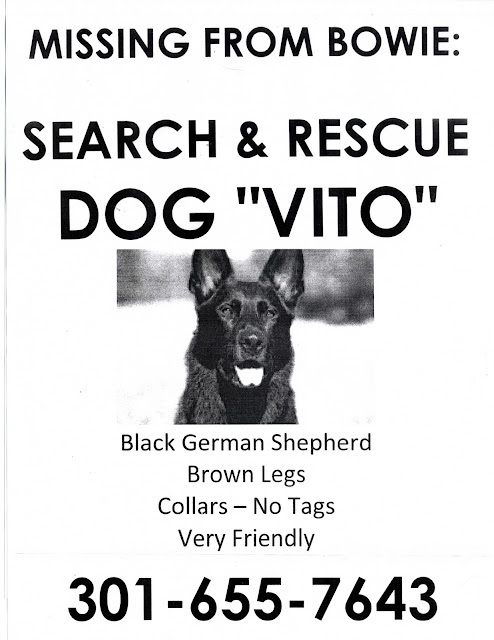 Anyone who sees Vito is asked to call (301) 655-7643. 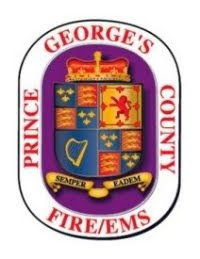 Prince George's County Firefighters and Paramedics were challenged this afternoon in rescuing a hunter that had suffered a gun shot injury and was located deep in a wooded area. At about 1:15 pm, Saturday, January 7, Fire Fighter/Medics from the Fort Washington area were alerted to an adult male being shot while hunting. The incident occurred about 1/2 mile off the road in a heavily wooded area near the intersection of Indian Head Highway and Old Fort Road in Fort Washington. The only access to the patient was by foot so personnel carried medical and rescue equipment back into and through the heavily wooded terrain. The incident commander, Major Ken McSwain, said that today's weather being dry and about sixty degrees assisted crews in quickly accessing, treating and removing the patient. Additionally, weather conditions prevented potential shock related medical injuries to the patient. Fire Fighter/Medics quickly located the patient and treated the adult male, about 60 years of age, for a gun shot wound to his abdomen. After stabilizing the injury the patient was loaded into a stokes basket and carried out of the woods. There were 15 firefighters and paramedics on the scene that required about 35 minutes to complete this challenging rescue. Once out of the woods the patient was loaded on-board the awaiting Maryland State Police Helicopter Trooper 2 and flown to a Trauma Center. The victim was classified in "critical" condition. A firefighter sustained a penetrating injury to his foot during the rescue. He was transported to a nearby hospital where he was treated and released. The Maryland National Capitol Park and Planning Police Department will be coordinating an investigation into the shooting.